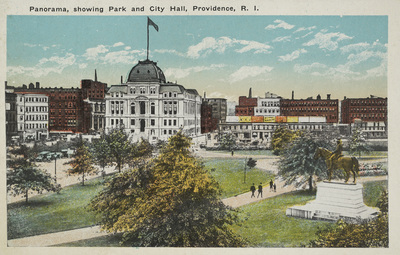 "Panorama, showing Park and City Hall, Providence, R. I." by Berger Bros., Providence, R.I.
Panorama, showing Park and City Hall, Providence, R. I.
Berger Bros., Providence, R.I., "Panorama, showing Park and City Hall, Providence, R. I." (1935). Rhode Island Postcards. 71.